The UPSC (Union Public Service Commission) released the final and last result for the 2018 UPSC CDS (I) examination. The UPSC CDS 2018 exam results are now available on their official website. The results of the medical exams of each candidate are not yet taken into the account in preparing the list. 172 candidates have been selected and were called qualified for the job. The list contains the names of those candidates who are recommended to get admission in the Indian Military Academy (IMA), Dehradun, Naval Academy, Ezhimala, Kerala and Air Force Academy, Hyderabad Pre-Flying Training Courses. The qualified candidates will in the UPSC CDS (I) 2018 exam is set to join the Officers Training Academy in Chennai for the for 109th Short Service Commission Course (for Men) and Officers Training Academy in Chennai, for 23rd Short Service Commission Women (Non-Technical) Course, which is set to commence in April this year. 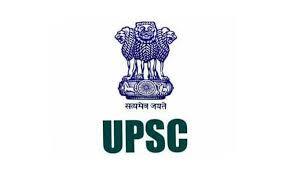 Step 1: Visit the official UPSC website which is www.upsc.gov.in. Step 2: Click the “Final Result: CDS (I), 2018 exam” button in the whats new section that can be seen on their official website. Step 3: Click on the PDF icon that you will see on the next page. Step 4: After the PDF will open in a new tab, download it and see if your name and roll number is present. The official scores of all the candidates are set to be released within the next 15 days, the UPSC CDS (I) 2018 exam results will be available for the next 30 days.